Casa Aldea is a fantastic community. It's beautiful, it's new, bright, and very well-laid out. The person who gave us the tour, Bailey, was very energetic, knowledgeable, and courteous. She did a great job. We got to enjoy lunch there, and it was very nice. Casa Aldea Senior Living was beautiful, and I really liked it. It was located in the middle of nowhere, and Mom likes walking along the beach, but they had nice areas to walk to. The restaurant looked great, but we did not try the food. It was a really upscale place with lots of activities. Casa Aldea met all my Dad's needs for Memory Care. The caring staff always had time for his questions and concerns. He loved watching t.v. at night with the staff, even in the middle of the night. Their patience and love for him will always be remembered. Great food and plenty of it. The food was always presented beautifully too. My Dad loved his meals and the chef. The staff really excels at knowing their clients and all their names. We were always addressed by name when we visited as a family. We were very pleased with my Dad's few months in Memory Care at Casa Aldea and would definitely recommend their residence to anyone and we do! Thanks Casa Aldea Staff!!! You are truly missed! Casa Aldea is amazing. It's absolutely the most wonderful place that I could have put my mother. The staff is amazing and it's an absolutely beautiful place. I have all wonderful things to say about it, from the care that she receives there to the cleanliness and the design and the people that work there. They have art classes, exercising, movie nights (because they have a movie room), entertainment such as piano players and guitar players come, they do field trips for the people that want to or are able to, and they have a beautiful outside patio with outside games. They keep the residents very busy if they choose to stay busy. It's always an option on whether they want to participate or not, but they have a full schedule if they want to stay busy. Casa Aldea looks like a nice place. Tiffany was wonderful. The rooms look nice, and the grounds looked really nice, but they didn't have a pool. The facilities looked good. They're kind of expensive. Every day at Casa Aldea Senior Living, we integrate wellness into the “living” part of senior living. Enhance your interests and expand your horizons. What makes Casa Aldea stand apart is our passion for our residents. We offer a stimulating variety of programs for the intellectually curious and the time and space to enjoy your current activities, hobbies and interests. With a host of optional outings, you create your own schedule based upon your interests, preferences, routines, and abilities. Whether it is morning exercise, a sing-a-long at the piano, a trip to local attractions, or a dance with entertainment provided by local musicians, it’s your choice to join in the fun. At Casa Aldea Senior Living, each day brings new rewards and plenty of possibilities. At Casa Aldea Senior Living, our integrated wellness approach takes senior living to the next level. Casa Aldea Senior Living has 46 beautifully appointed apartments with studio, one- and two bedroom floor plan options. In Assisted Living we care for you as much as we care about you! Comprehensive, licensed assisted living services are available for those who choose or require help with their daily living needs but wish to remain as independent as possible. Our assisted living services are based on what you need, when you need them, as much or as little as you want. Pursuing your favorite pastimes, social engagements and daily routine is easy when you have the health and wellness support you need. From meal preparation to coordinating physician care, medication management, and more – you can count on us to keep you active and engaged. We promote independence, choice and the opportunity for you to live a vibrant life with additional care at your disposal. Full monthly calendar with a variety of classes, fitness groups, outings and much more! At Casa Aldea Senior Living, our operational philosophy is to create a personal and carefree living environment for all of our residents with service based on integrity, honesty and dignity. 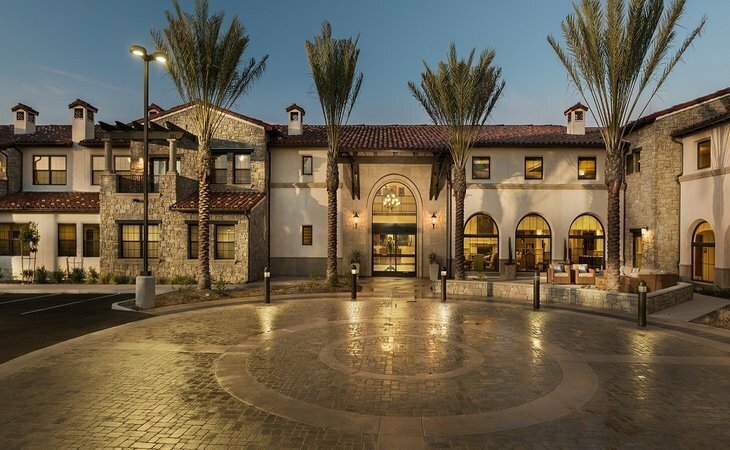 What should caregivers and potential residents know about Casa Aldea Senior Living?